A decade before Greg Berlanti spearheaded an empire of DC Comics television series, he got his first creator credit on the WB family drama Everwood. It opened its run with 7.4 million viewers and a 3.0 demo rating on 9/16/2002, retaining just over 80% of its 3.7 lead-in from 7th Heaven. Everwood took a big drop to 2.3 in week two, but it rebounded to 2.6 in week three and hung in that area for the rest of the fall, fading into low-2's in the second half of the season. 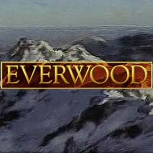 Beyond the opening weeks, there isn't much to say except that Everwood was a reliably solid pairing with 7th Heaven. Its averages in the first three seasons were always somewhere between 75% and 80% of what 7th Heaven did. Much like another future Berlanti series, Brothers & Sisters, it caught its once-beastly lead-in as it was on the ratings downturn, and its percent drops in seasons two and three very closely mirrored the drops of its lead-in. After three acceptable but unspectacular seasons in the cushy post-7th Heaven slot, the WB decided to try something else in the Monday 9:00 hour for fall 2005. Everwood headed to Thursday, joining fellow veteran Smallville in an attempt to reinvigorate a night that had struggled during the prime years of Friends and Survivor. It was a major success for Smallville, which was basically even year-to-year in the move, but Everwood didn't make the transition as well. It was mired in the mid-1's, retaining barely over half of a usually upper-2's Smallville lead-in. After airing nine fall episodes, Everwood lost its Thursday slot to Beauty and the Geek (which did much better), and Everwood wasn't even on the air for over three months through the winter. But the network had done no better with Everwood's successors on Monday; law drama Just Legal was pulled after three episodes, and the dramedy Related only barely beat Just Legal's numbers. So Everwood reappeared in its old Monday 9/8c home for the spring of 2006. Its 1.4ish ratings in this spot improved on those occupants, but the retention was not as good as in its first three seasons, and the WB's merger with UPN loomed. What seems to have been the last spot on the CW ultimately went to 7th Heaven, as the show's big spikes in what were supposed to be the last weeks of the series scored it a surprise last-minute renewal. That made Everwood the strongest of the bubble shows squeezed out in the formation of the CW.